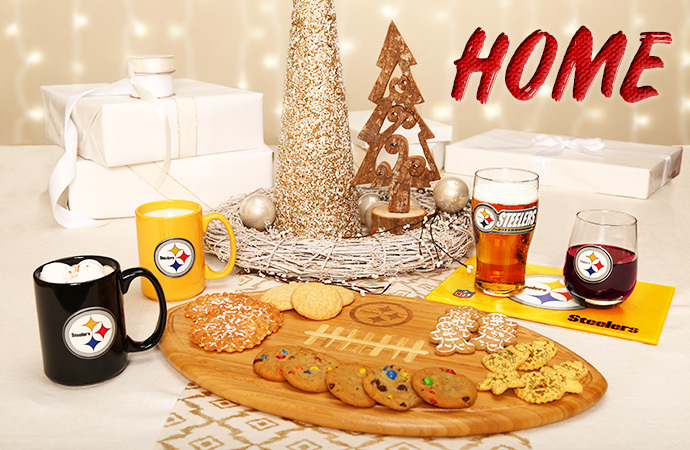 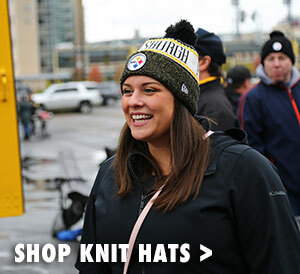 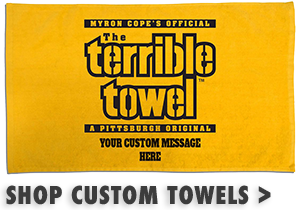 This holiday season, stay warm at the tailgate with our Terrible Towel blanket, or treat the holiday host with a Christmas gift like Steelers mugs, wine & beer glasses, signs for the home and more. 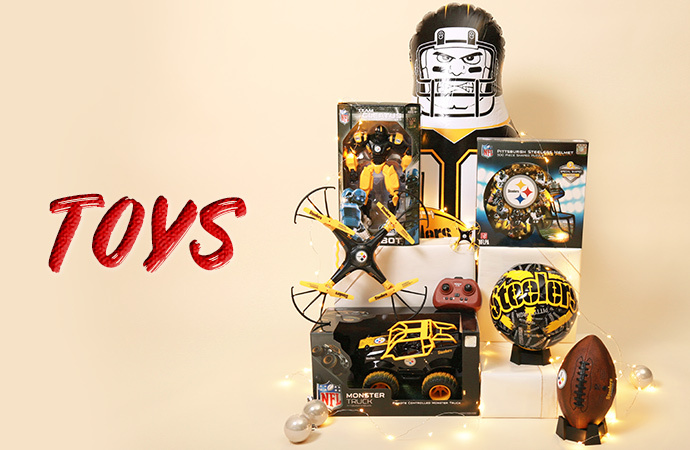 If you’re looking to bring a bit more black and gold cheer to your holiday décor, check out our outside home laser projector, or keep it classic with Steelers Christmas ornaments including vintage glass footballs and Terrible Towel ornaments. 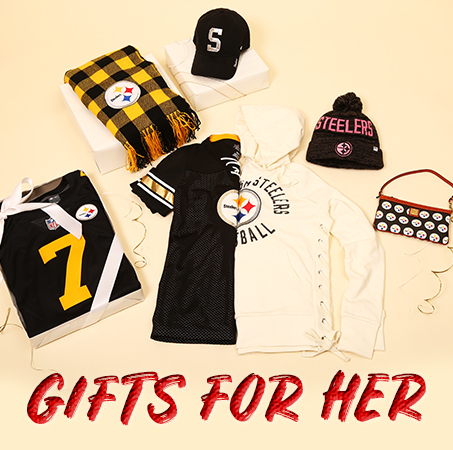 Our Pittsburgh Steelers Holiday Gift Guide features Steelers football gifts in a variety of price ranges and styles for men, women and children including gifts under $25, which are great as stocking stuffers. 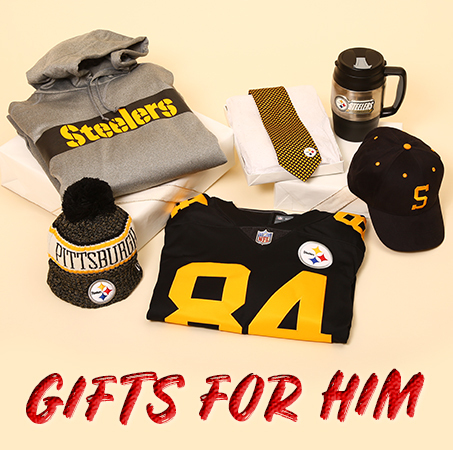 New Pittsburgh Steelers clothing is always welcome to the wardrobe of Dad, the super fan—especially a soft & cozy sweatshirt. 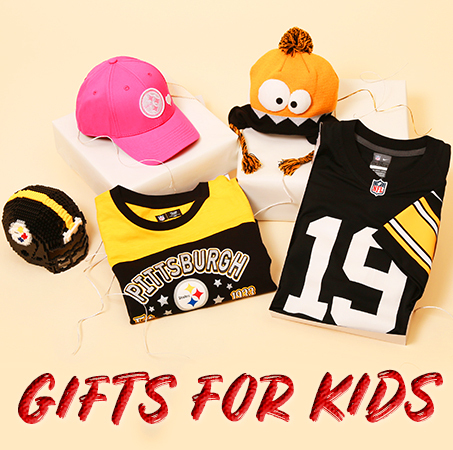 Alternatively, you can get the gift that always fits—gift cards are available in $25 and $50 denominations. 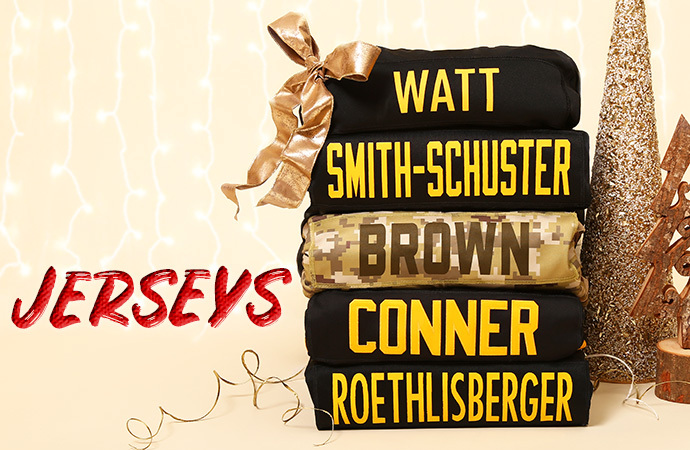 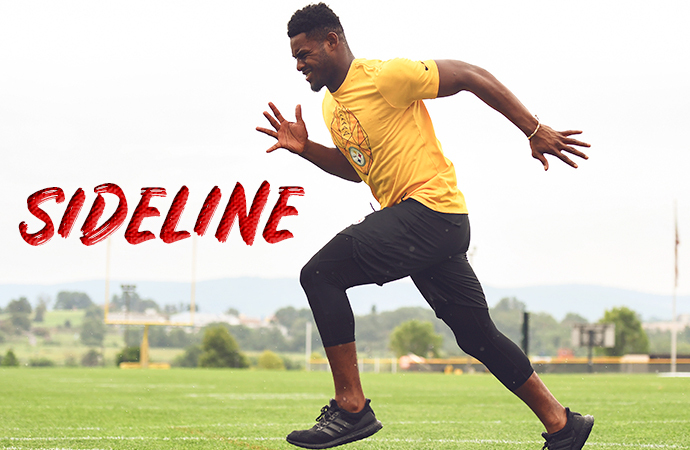 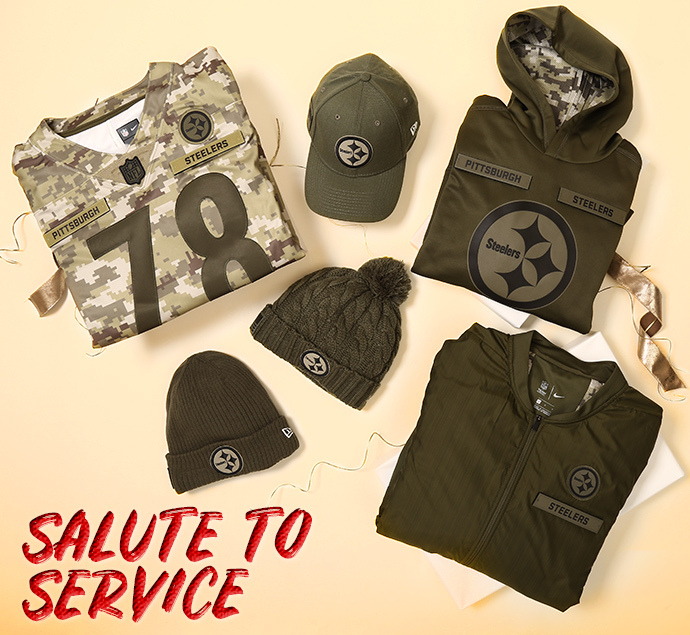 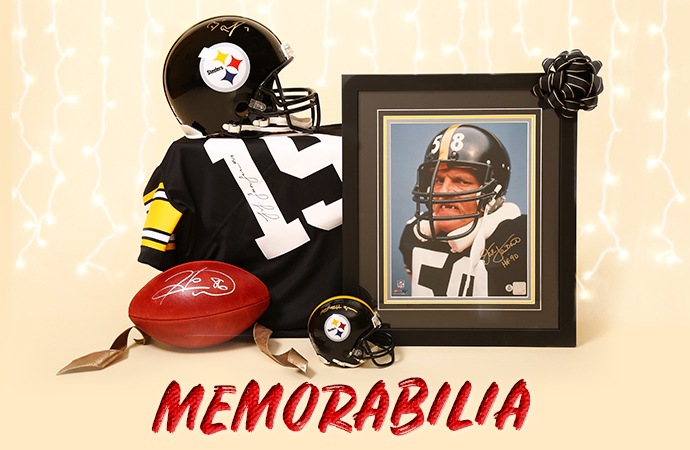 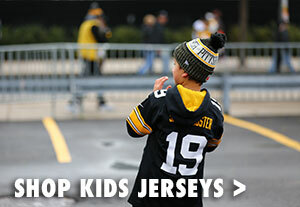 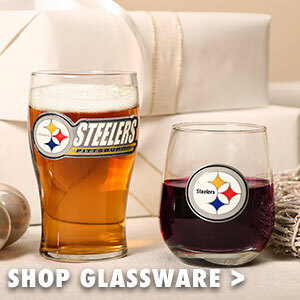 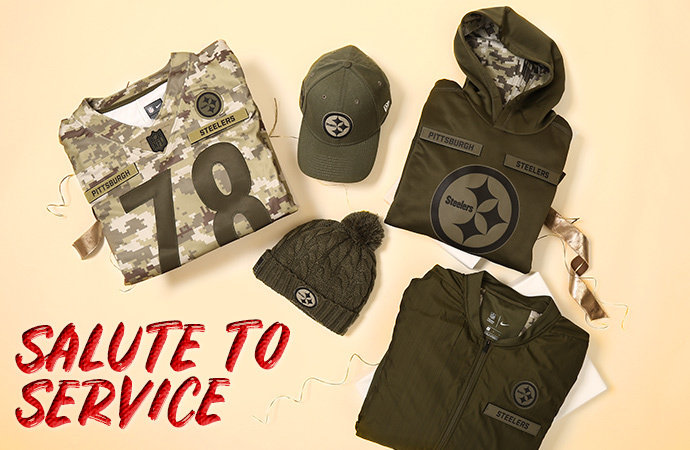 The Pittsburgh Steelers Holiday Gift Guide is the place to find exclusive Steelers merchandise and special deals.